We headed to DC this past weekend for the Rally to Restore Fear and/or Sanity and hit up the bar car on the way back last night. 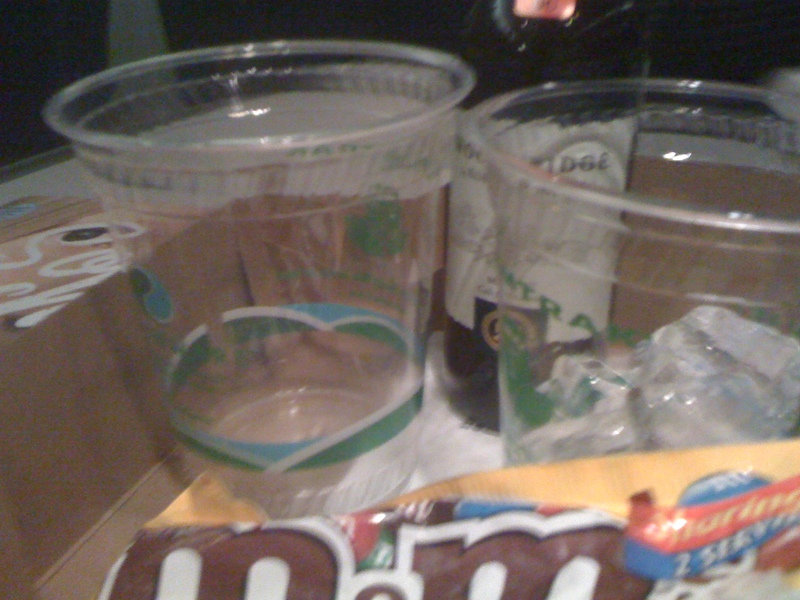 Dewars and peanut m&ms are an amazing combination. Yes, that is Woodbridge Merlot in the background. No judging, please. We didn't leave enough time to wine shop prior to arriving at the station. It was surprisingly palatable. I’m hopeful that our blogging class starting tonight will give me the kick in the pants that I need for some more regular posting. Stay tuned! I’ve seen some bottles of wine with chocolate mixed in with them here in Florida. I’ll check them out and give you the brand. They are probably very healthly. The wine is called Chocovine and it is from Holland. “Dutch chocolate and fine wine.” 14% alcohol. Also comes in rasberry flavor. Just came back from Big B Liquors in Edgewater Florida where I had a taste. Tastes just like Baileys or any other chocolate liquor. They took the wine taste out and left the alcohol. Kind of like spiked Yoo Hoo. At 11.99 a bottle I would rather have a Black Russian. How funny you mention Chocovine! Noah bought some this weekend and Michael described it as follows, “A refractory prism film coated the glass followed by a cloying medicinal sludge”. Spiked Yoo Hoo sounds like a much better idea.